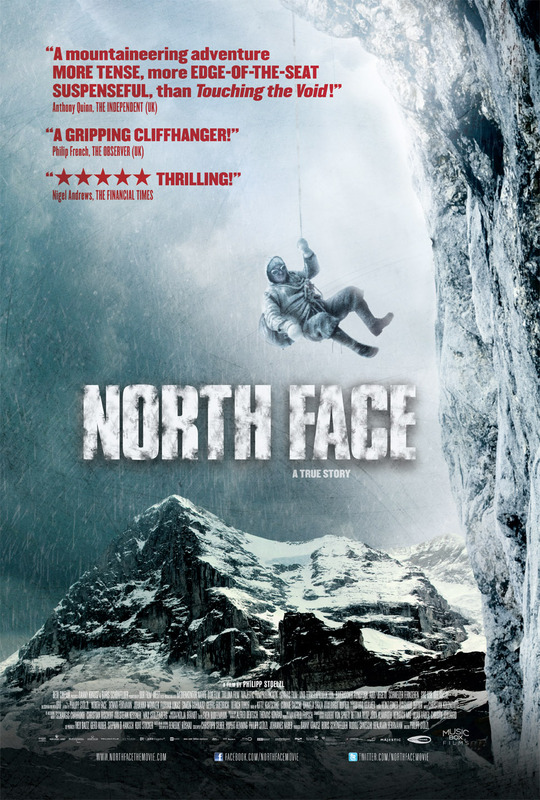 Outdoor adventure movies come and go, and unfortunately few of them are really very good. 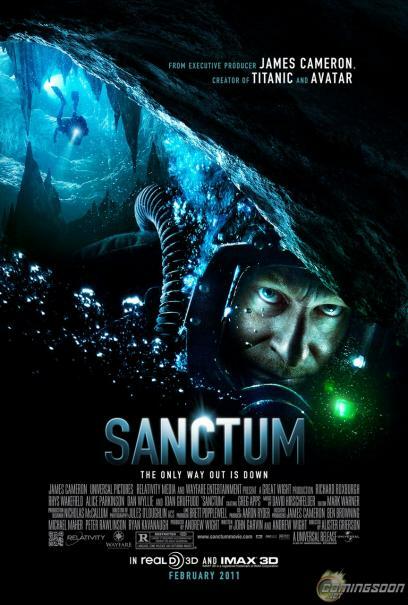 Sanctum fits squarely in the "not-very-good" category. --Saving grizzly bears in the North Cascades is widely supported among Washington state voters, according to survey results released Monday, June 6. That includes voters, like those in Whatcom County, who live around the ecosystem. California-based Tulchin Research conducted the survey May 19-22 of 600 registered voters in six different parts of the state, including east and west of the Cascades, where the mountain range seems to separate the state politically. To read more, click here. --Climbers on Mount Baker photographed a recent debris flow across Boulder Glacier on the volcano’s eastern flank in early June — but the barrage of ice and rock was more a geologic curiosity than a real threat to most people. Such debris flows occur occasionally and are not a concern to anyone except mountaineers, a Western Washington University geologist said. But observers will notice what resembles a river of gray on the 10,781-foot summit that’s about 30 miles east of Bellingham. To read more, click here. --An adult cow moose with three-week-old calves was found shot dead inside Denali National Park Wednesday morning, the National Parks Service says. The moose was discovered near the Denali Post office, NPS wrote in a press release. Park officials determined that it had been killed one or two days prior. To read more, click here. --Children under 14 would be required to wear helmets while skiing or snowboarding under a bill the New York State Senate has passed. But the legislation could die in the state Assembly, where every year for the past 15 years similar bills have died without being voted upon. To read more, click here. --A 24-year-old man is missing after he fell into a waterfall hole while sliding down Asgaard Pass near Dragontail Peak in Chelan County. A group of people were "glissading" on the snow on Aasgard Pass on Sunday night when the man, who was in front of the others, slid over the edge of a waterfall house and into the rushing water, the Chelan County Sheriff's Office reports. Glissading is a technique for sliding down a slope of snow or ice while using an ax for support. To read more, click here. --The Skamania County Sheriff’s Office says a climber on Mount St. Helens had to be rescued after he slid 100 yards down the mountain and fractured his ankle. The sheriff’s office says 19-year-old Andrew Maris was climbing up the mountain with his three brothers on Thursday afternoon and had started his descent ahead of the others. To read more, click here. --Teams began clearing the road to Artist Point last week. To read more, click here. --Here's an interesting article about a day in the life of a law enforcement ranger. --A rock climber has been rescued after falling in the northern Sierra Nevada mountains near Donner Summit. The 33-year-old from Truckee fell Friday on Snowshed Wall, sustaining major injuries. California Highway Patrol officials say they were able to extract the climber with help from Truckee Fire personnel. To read more, click here. 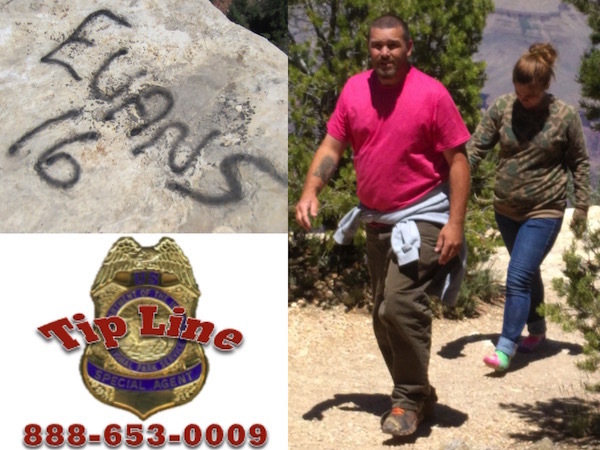 Can you help identify these two vandals in Grand Canyon National Park? --ISB Special Agents and US Park Rangers of Grand Canyon National Park are seeking information about two people who may have vandalized rocks near the Yavapai Geology Museum. On May 22, 2016, a visitor at the South Rim of the park observed a couple spray painting graffiti, and was able to capture images of the people and the vandalism. To read more, click here. --Joshua Tree National Park needs your help to secure grant funding, and all you have to do is sign up on the National Geographic website, and then start voting from a list of 20 national parks, historic sites and monuments. To read more, click here. --A black Labrador retriever died and one of its two owners showed signs of heat sickness last weekend while hiking a 7-mile desert trail where pets are not allowed in Joshua Tree National Park, according to a park news release. To read more, click here. --The Colorado Supreme Court has ruled that avalanches are an inherent risk of skiing, ending a contentious debate over a ski area’s liability when a skier is killed by avalanche inside a resort boundary. The ruling delivered Tuesday morning found resorts are p--rotected from avalanche-related lawsuits under the Ski Safety Act, which was created in 1979 and amended in 1990 and 2004. The act shields resort operators from liability when the death or injury of skiers and snowboarders can be attributed to difficult-to-mitigate threats, such as terrain and weather. To read more, click here. 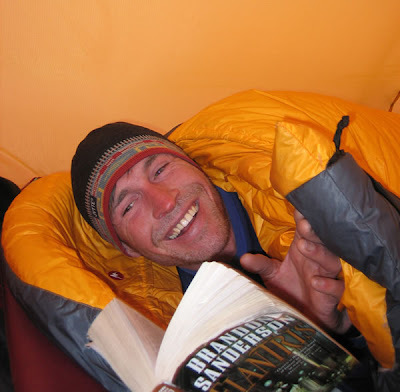 A Czech mountaineer died after falling about 1,500 feet while skiing down Denali, officials said Sunday. 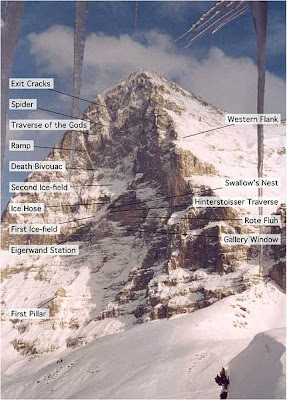 Pavel Michut, 45, fell while doing a ski descent of Denali’s Messner Couloir, a steep gully that connects the basin with the upper mountain of the famed Alaska peak, the National Park Service said. To read more, click here. --Presidential candidate Hillary Clinton released a plan yesterday that lays out a vision for the future of outdoor recreation, a commitment to conservation, clean energy and water, and collaborative stewardship of America’s public lands and waters. Included in this plan is the goal of doubling the outdoor recreation economy in ten years! To read more, click here. --There are still ski resorts open in North America...and yes, you could go skiing in-bounds this weekend. To learn more, click here. --Drones are illegal in both US and Canadian national parks. But that doesn't mean that the footage isn't awesome. This is not an endorsement of breaking the rules, merely a link to a video. --Speaking of drones, check out the following video for footage of a climber's drone crashing, from the drone's perspective. To read more, click here. --This week, the International Olympic Committee (IOC) Executive Board supported a proposal to add five new sports to the 2020 Olympics in Tokyo. Climbing, skateboarding, surfing, baseball/softball, and karate are all in the package under consideration. The final decision will be made in August, when the IOC meets in Rio de Janeiro. To read more, click here. --A 7-year-old Japanese boy who disappeared nearly a week ago after his parents left him on the side of a mountain road to discipline him was found unharmed on Friday, the Japanese authorities said. To read more, click here. --There was a large rescue mission on Guye Peak over the weekend. Check out Seattle Mountain Rescue's blog to learn more. --The Methow Valley is a climber and skier's paradise. A Canadian company has filed for permits to conduct exploratory drilling for copper on Flagg Mountain, which sits on U.S. Forest Service land. In response, the Methow Headwaters Campaign proposes to secure a “mineral withdrawal”from the Forest Service and Bureau of Land Management. This action would prohibit mining on the Methow watershed’s federal lands—approximately 340,000 acres in total. To read more, click here. --The western region mountains were greeted with plenty of snow and lower than expected freezing levels from late November through early January that created strong snow bases. This created a banner year for ski resorts. To read more, click here. --Two hikers were killed in a fall over the weekend in Red Rock Canyon National Conservation Area. Tragically, one of the hikers was trying to save the other, when they were both killed. It appears that the party was scrambling somewhere above Pine Creek's Fern Canyon when the incident took place. To read more, click here. --We often forget that most of the bees in the southwest are killer bees. Don't mess with swarming bees or beehives: A 23-year-old Louisiana man died after being attacked by bees Thursday morning as he and a friend were hiking within Usery Mountain Park in Mesa, the Maricopa County Sheriff's Office said. A medical exam determined the man had been stung more than 1,000 times. To read more, click here. --See where all AAI teams are on Denali this week... To read their dispatches, click here. --Twelve-year-old Romanian climber Dor Geta Popescu reached the top of Denali last week, and can now join Alaskan Merrick Johnston as the youngest women to reach North America's tallest peak. To read more, click here. --In a tragic turn of events, authorities recently found the body of a woman who got lost on the Appalachian Trail. It appears that she was lost long enough to starve. To read more, click here. --New Hampshire Fish and Game officials say they rescued an injured Massachusetts rock climber from Humphrey's Ledge in Bartlett Sunday. Officials say 33-year-old Philip Giampietro of Boston lost his handhold at about 10:40 a.m. while climbing the steep ledge and fell 30 feet before the rope stopped his fall. To read more, click here. --A rock climber was flown to a Vermont hospital after suffering severe injuries in a 60-foot fall from a cliff on Pitchoff Mountain on Monday afternoon. State Police identified the victim as Kyle R. Ciarletta, 22, of Eagleville, PA. To read more, click here.